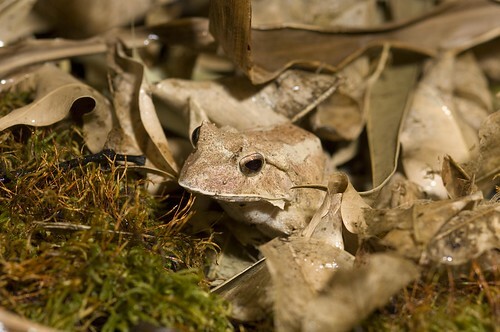 As their name indicates, these small, frogs resemble leaves. Coloration varies from brown to gold to green. 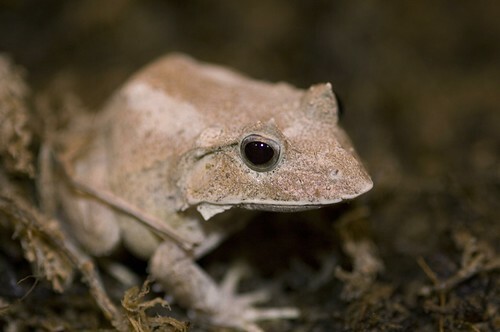 The Solomon Island leaf frog resides on its titular collection of land masses near Australia. 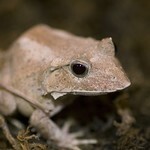 They are also found in Papua New Guinea. 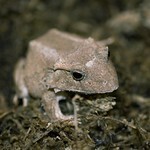 The Solomon Island leaf frog is considered a species of least concern by the International Union for Conservation of Nature. 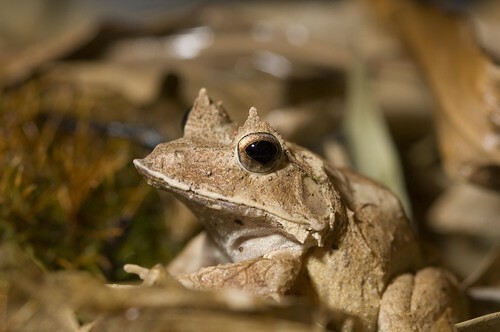 This frog resides in tropical lowland forests and in regions of rural or urban areas that are conducive to its lifestyle. 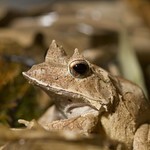 Nocturnal animals, Solomon Island leaf frogs hunt insects under moonlight. 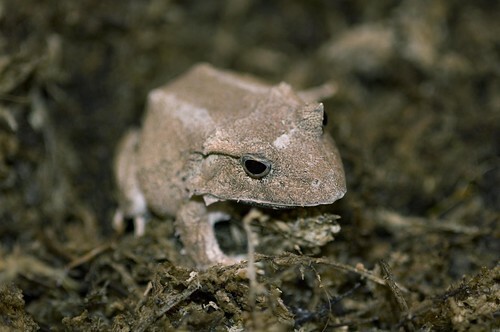 Unlike most frogs that experience a tadpole stage, Solomon Island leaf frogs hatch from eggs as fully developed (if small) frogs. Eggs are laid in shallow nests dug into the ground. 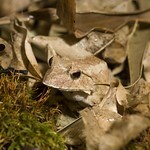 A loud call-almost like a dog's bark-helps Solomon Island leaf frogs mark territory and find mates.